Ramp up your Summer Barbecue Season in a Healthy Way! Home/Integrative Medicine/Ramp up your Summer Barbecue Season in a Healthy Way! here’s how to make your summer grilling experience healthy! According to the Health Patio & Barbecue Association, between May and September over 72% of grill owners will be grilling out at least 20 times during the summer and Memorial Day being second highest grilling day after 4th of July! Often I get asked if grilling is healthier and which is better, charcoal vs gas grill? 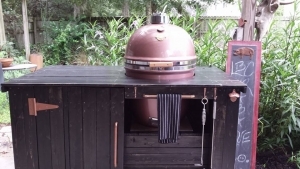 Technically speaking, neither charcoal or gas grilling is really “healthier” and both have their pros and cons when it comes to flavor of food as well as heat expenditure. There is no study stating that grilling per-se causes cancer. 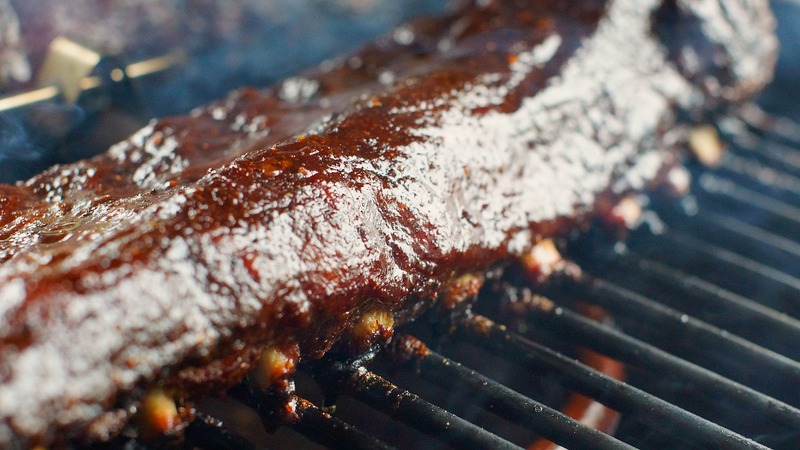 However, toxic chemicals like Polycyclic Aromatic Hydrocarbons (PCA) and Heterocyclic Amines from extreme high temperature released during the grilling process is linked to cancer of the stomach, pancreas and colon. Specifically smoking foods increases the risk of gastric cancer (2). The longer food is cooked at higher temperatures; it becomes oxidized and more toxic by releasing these two chemicals(1). 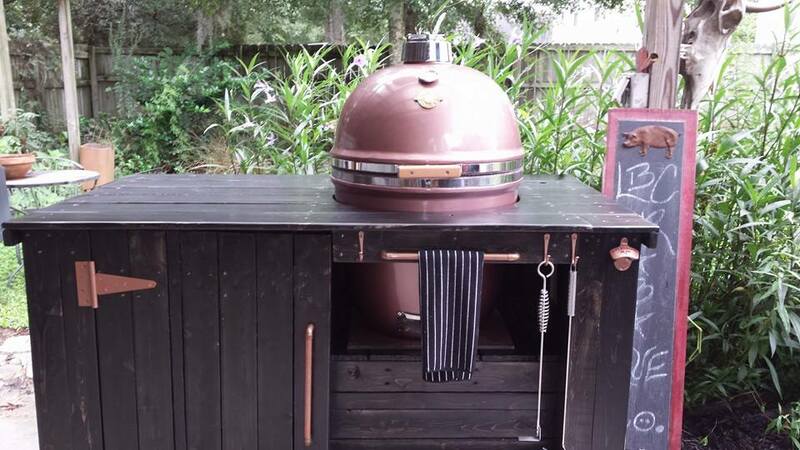 Here are some ways you can decrease your PCA & HA exposure and enjoy a healthy bbq season! Marinating foods with vinegar and lemon juice will reduce HA significantly. Also, marinating your meats with oils that have higher smoke point is better because you avoid oxidation that occurs during higher temperatures. These include grapseed oil, and avocado oil. Cleaning and Oiling your grill is a good idea so debris is not sticking to your food. Always keep it clean and scrape off any excess residue. Cook with less intense heat, at lower temperatures for lower duration (1). Also, avoid flame coming in contact with your meats. Be sure to cook your meat thoroughly to avoid salmonella and ecoli, bacteria that can cause diarrhea and stomach issues. Avoid processed hot dogs and meats. Instead, choose lean grilled meats like fish, chicken and steak. Choose grass fed and cage free options when available. The lower fat content in meats creates less dripping and smoke producing toxic burden also decreasing your HA & PCA exposure(1,2). Be sure to enhance your bbq with some of these healthy eating tips! 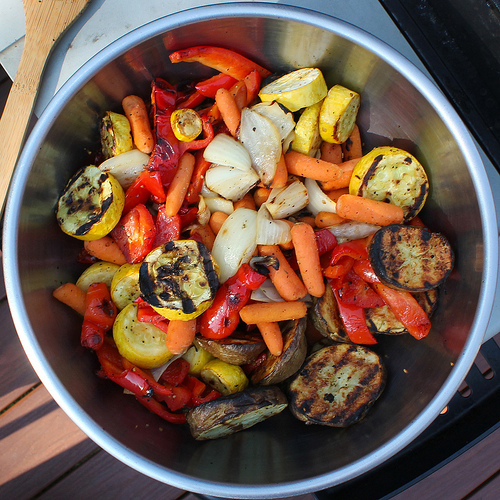 Grill more veggies this summer! Switch out your chips and dip for veggies and hummus instead. It’s lighter, easier to digest and filled with tons of phytonutrients that can offset HA & PCA exposure. Avoid non-gmo corn, which is also hard to digest, and opt for grilled veggies and roasted Japanese sweet potatoes which have good fiber and prebiotics to aid your digestion. Don’t forget to make a colorful high antioxidant salad with olive oil based dressing to absorb all those phytonutrients. Don’t buy store bought potato and macaroni salad. In fact, skip these all together because you’re at increased risk of ecoli especially once both have been sitting out for a while. Instead, incorporate fermented sauerkraut for a healthy gut. The probiotics and healthy bacteria released will be a lot better than GI upset and also help you from getting one! Another thing to make is an avocado-tomato salad with olive oil. This has healthy fats and licopene, both which are great for your metabolism and added bonus for men to help with prostate health. Ditch the sodas and sugary drinks and make your own detox water with lemon, mint and cucumbers. This cool refreshing drink will be sure to be a crowd pleaser. For dessert, incorporate fresh seasonal fruits like berries, cherries, cantaloupe and watermelon. You can add a dallop of whip cream for a sweeter taste, but you probably don’t need it! Kao TH, Chen S, Huang CW, Chen CJ, Chen BH. Occurrence and exposure to polycyclic aromatic hydrocarbons in kindling-free-charcoal grilled meat products in Taiwan. Food Chem Toxicol. 2014 Sep;71:149-58. doi: 10.1016/j.fct.2014.05.033. Epub 2014 Jun 13. Fritz W, Soós K. Smoked food and cancer.Bibl Nutr Dieta.1980;(29):57-64.